Driving can be rather difficult as a task. You have to be very alert and also keep your eyes open to your surroundings. Thus it is needless to say that unless you are very experienced in driving, it is not a very good idea to drive at all since driving also entails you with the responsibility of other peopleâ€™s lives. To learn driving, you should only rely on a reputed and an experienced driving institute. And what can be a better choice than the Dhoot Driving School in Tower Hamlets, London in this regard? As mentioned above, since driving involves both the theoretical aspects and the practical aspects, the courses that are designed in driving training by us at Dhoot Driving School are such that they are equally proportionate in terms of theory and practical. Also all the courses are tailor made for people of all class and requirement. When you join us, you fall into the best hands when it comes to count the expertise and the experience of the trainers associated with us. 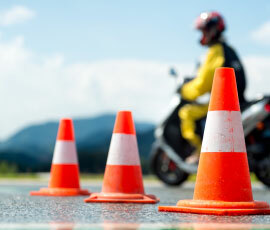 Our trainers are registered and also approved by the driving standards agency and are also multiple language experts. All the course materials and the theory books along with the class room coaching are also available in different languages other than English. Thus if you are not well versed with English and prefer some other language, you never know that might be possible with us at Dhoot Driving School in Tower Hamlets, London. There are several benefits of joining our institute. For instance, you can avail the benefits of driving training in different languages, you can also ask for a refund of money in case you are not satisfied with the training program and want to change it in the middle of the ongoing training. There are also special services that are just meant for you like the pass protection service and also the PCV pass protection service. These services are such that with the help of such services, you can reappear for the driving test if you fail to clear it in single attempt. 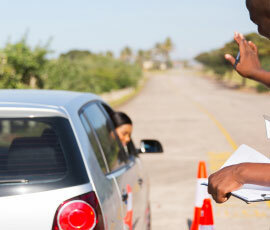 Applying for a driving license is also something that is of utmost importance. After the completion of training, when you apply for a driving license, you also have to furnish certain documents with the application like the medical form and also the provisional entitlement form. When you join us at Dhoot Driving School in Tower Hamlets, London, we provide complete guidance in filling up these forms and also send them across to the concerned authorities of DVLA on your behalf. Thus you can concentrate on the training program with your entire mind. The LGV/HGV training: this training is meant for the large goods vehicles and also the heavy goods vehicles. This training is the category for the rigid vehicles only. There are several categories under this training program and depends on the weight specifications of the vehicles available. The categories that fall under this training program are C, C1, C1+E, B+E car and trailer training etc. The PCV training: this training is meant for the passenger carrying vehicles. Depending on the number of passengers, this training can also be sub divided into the following categories like D1, D, D+E and D1+E. There are also the D1-Minibus and D automatic bus category that are meant for the manually driven vehicles only. Of course these categories are all meant for the articulated vehicles only. The B+E car and trailer training: if you wish to drive a towing vehicle, you need to undergo the training of the B+E category. If your vehicle weighs well within the maximum authorized limit or the MAM limit, you can obtain the B license. However if your vehicle weighs more than the maximum authorized limit, you have to obtain the B+E license. The driver CPC training: this certification course is now deemed as a mandatory requirement along with the LGV or the HGV training. It stands for the professional competency and for gaining the certification in this category; you have to appear for the driver CPC theory tests after undergoing a periodic training of 35 hours within 5 years. You can obtain the certification with the help of various driver CPC modules and the CPC theory tests. For the initial qualification in this regard however, you can obtain help from the driver CPC modules 4 and 2. For more details like refresher training courses, kindly visit us at Dhoot Driving School in Tower Hamlets, London.